Top features - mail merge, merge and split documents, find and replace, and convert documents. A high-performance and feature-rich framework to perform advanced Word document processing operations faster without Microsoft Office or interop dependencies. This framework offers a Word creation and editing library that allows you to create, read, and edit Word documents programmatically in .NET Core application. 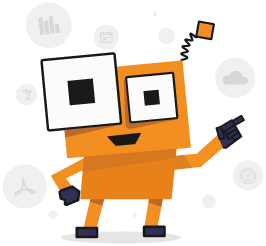 Its powerful conversion APIs make it easy to convert Word documents to PDF, HTML, RTF, and ODT formats. It also offers advanced editor components to view, edit, and print Word documents in your applications. Syncfusion .NET Core Word framework comes with extensive documentation, a knowledge base, and samples. It only takes a few lines of code to create, view, or edit richly formatted Word documents. For more information, check out our .NET Core Word Library (Essential DocIO) features. The Syncfusion .NET Core Word framework can convert Word documents to PDF, RTF, TXT, HTML, and ODT formats. Also, it can convert RTF, TXT, and HTML files to Word documents. Syncfusion .NET Core Word framework offers an editor component compatible with Microsoft Word. It allows end users to create, view, edit, format, and print rich text and Word documents in your application.